Images captured by Record-Eagle photojournalists during this year's fair. 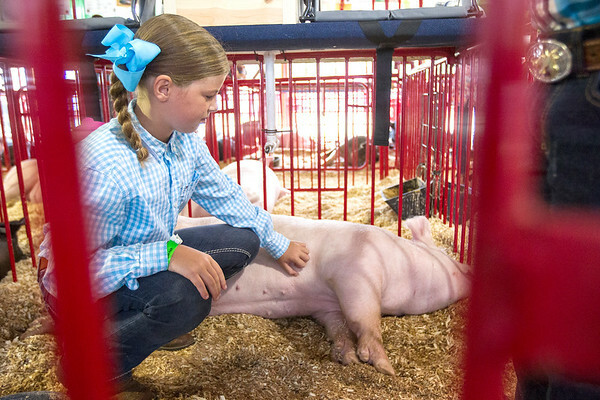 Kylie LeVasseur pets Miss Piggy at the Northwestern Michigan Fair. LeVasseur's swine was one of 36 that did not make weight at the fair this year. Her pig fell four pounds short of the 225 mark.